EPLAN Harness proD version 2.6 is 3D/2D software featuring enhanced automatic wire dimensioning and intuitive routing of wires with predefined lengths. 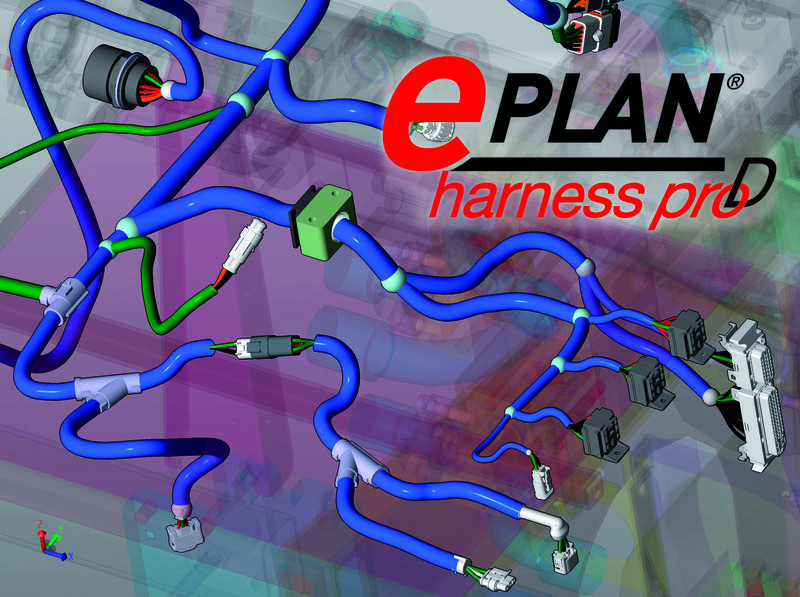 The new EPLAN Harness proD version 2.6 is intuitive 3D/2D software for high quality wiring and wire harness engineering. New features include enhanced automatic wire dimensioning and intuitive routing of wires with predefined lengths. Open interfaces allow for true collaboration between mechanical and electrical engineering. In addition, version 2.6 delivers significant improvements in the handoff of design data to manufacturing drawings, such as integrating 2D wire drawings, which are automatically derived from the 2D/3D design environment and specify both dimension points and terminal points. This allows for automatic dimensioning, saving time and ensuring accurate results. Stripping lengths and wire coatings also can be defined in the design phase, and professionally depicted in the manufacturing drawings. This provides users with a quick and comprehensive overview of their projects.